Hot Hot Hot Vacation Savings Have Arrived at Now Resorts & Spas! Are you vacation ready, Now® Resorts & Spas fans?! It’s time to pack your bags and get ready for paradise. 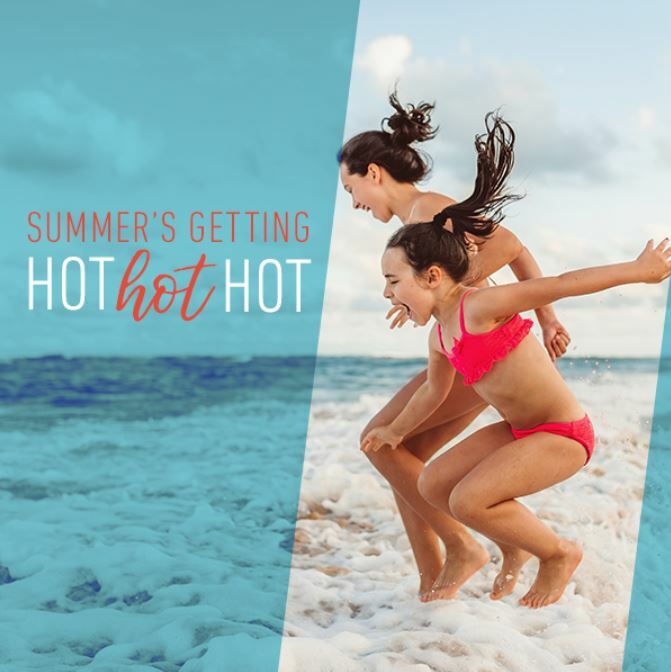 As everyone knows, the end of the summer is when things really start to heat up — and our Hot Hot Hot promotion is officially on! Keep reading for details on how you can save on your next trip to Now Resorts! Sip, relax, repeat at Now Resorts! Live in the Moment. Win a Vacation to Now Resorts & Spas. Although fall has officially arrived, at Now Resorts & Spas it’s like summer all year long! We want to give one lucky family the chance to win a free vacation and extend their “summer” just a little bit longer. To enter, all you have to do is comment on this blog and tell us in 150 words or less why your family deserves to win a free 3 night vacation* at one of our resorts! We will be accepting entries from Wednesday, September 22nd through Wednesday October 6th. After that, we’re going to narrow it down to the top 5 entries** and let our fans and followers cast their vote to determine the winner! Voting will take place from Monday, October 11th through Friday October 15th. Follow us on Twitter and make sure you are a Facebook fan of Now Sapphire Riviera Cancun and Now Jade Riviera Cancun to cast your vote and follow the promotion details. The winner will be announced on Monday, October 18th. Good luck to everyone! We can’t wait to read all of the entries! *Terms and Conditions: Limited to family of four (two adults and two children), valid for one year from date of drawing. Blackout dates and restrictions apply. Holds no cash value and non transferable. Not redeemable for cash. ** Once we have narrowed down the top 5 entries, we will contact the finalists to request a photo to include in the voting process.